Rules around data collection are undergoing reform in the UK with the Digital Economy Bill and the EU General Data Protection Regulation, due to become law in May 2018. Here Joanna Adler, Professor of Forensic Psychology and Director of Forensic Psychological Services at Middlesex University, writes about the growing ‘internet of things’ and implications for privacy and media literacy, particularly for children. In November 2016 I bought an electronic toothbrush for a child, to encourage independent, effective tooth brushing. The child loves it, and oral hygiene has definitely improved. Twice daily, a parent turns on smartphone location and Bluetooth settings so that the brush app can interact directly with the toothbrush to show the child where to move it. These settings only allow the phone and toothbrush to ‘communicate’ with one another, but twice daily, there’s that security vulnerability, from an app designed for children from age four. There are options to avoid the pairing entirely, but you lose personalisation. There are also options to commit this toothbrush fully to the internet of things, running it across all desired devices. Wearable technologies and digitally enhanced products can improve health and autonomy. Our real and virtual worlds are already meshing ever more smoothly, and that’s what we apparently want. Even though I like the oxymoronic elegance of a smart dummy, and can appreciate the potential irony of using Barbie dolls to launch DDoS (Distributed Denial of Service) attacks, the internet of hacked things is not going away. It will impinge more on the services and parts of society that we care about, and neither industry nor governments seem to be acting with any kind alacrity to crack down on default passwords and to improve privacy, while most of the rest of us just like getting stuff for free. A new social contract and regulatory framework for the rapidly evolving digital ecosystem require us to play our parts too. 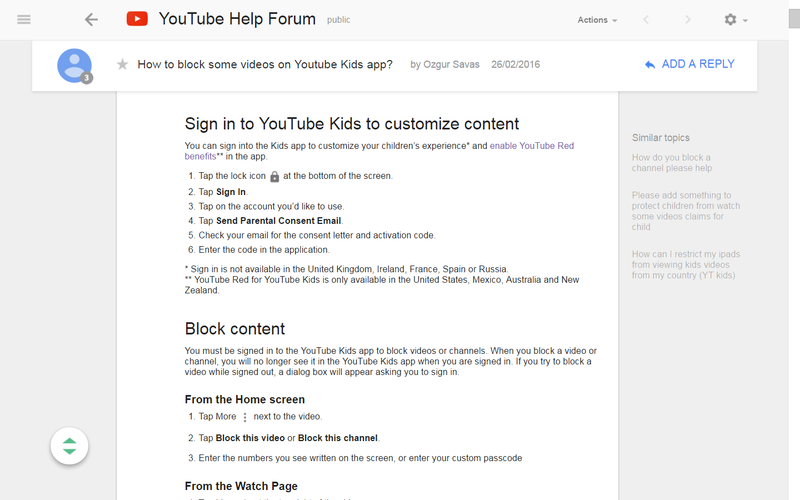 I have highlighted YouTube Kids here, but pick any major player you like. None of them should be expected to be our personal ethical filters, and we can’t abrogate parental responsibilities to any entity that has its own duties to employees, shareholders or trustees. The Children’s Commissioner’s report suggests a digital ombudsman to mediate between young people and social media companies, although the scope and remit of such a role is not entirely clear. The report also pushes forward the 5Rights for young people and calls for a joined-up programme to build digital resilience through digital citizenship. It joins calls to review the UN Convention on the Rights of the Child to include digital rights and protections. This post was first published on the Parenting for a Digital Future blog. This post gives the views of the author and does not represent the position of the LSE Media Policy Project blog, nor of the London School of Economics and Political Science. Image credit: Philips Communications, CC BY-NC-ND 2.0.